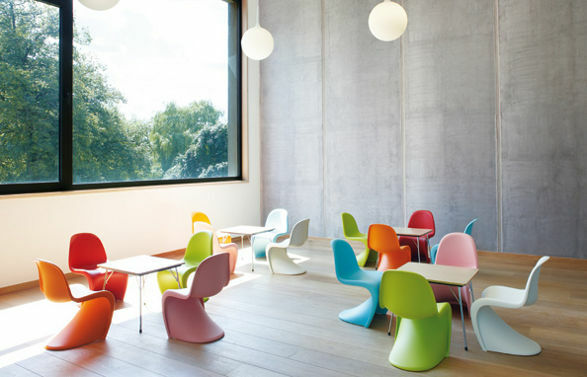 Although everyone who is keen on design can recognise the Panton Chair, not everyone knows its history. But fear not – it is just an essence of the information. Danish designer, Verner Panton in 1960s and 1970s was known for his original and imaginative designs in the fields of furniture, lighting and textiles. The trademark of his works was colour. However, he was also enthusiastic about the design potential of plastic, a new material at the time. He spent many years on trying to make a comfortable, all-purpose plastic chair moulded in a single piece. 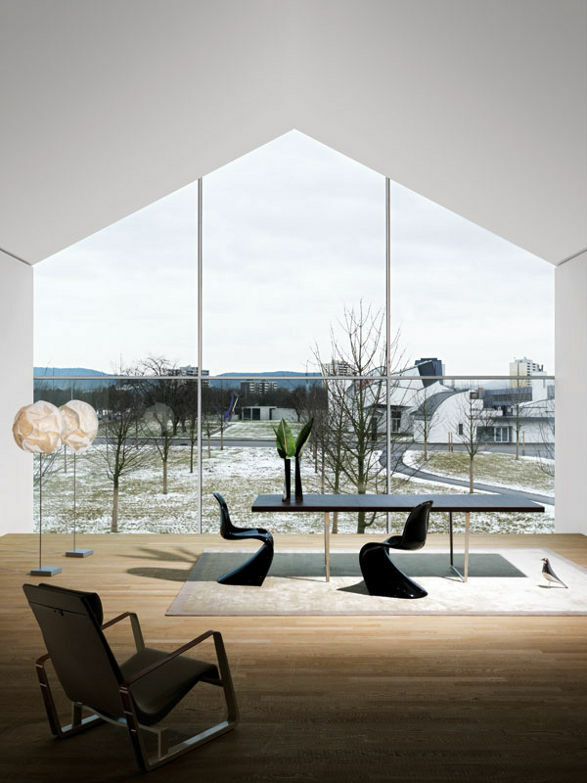 The result was the first version of “S” shaped Panton Chair developed with Vitra and finally introduced to the public in 1967. 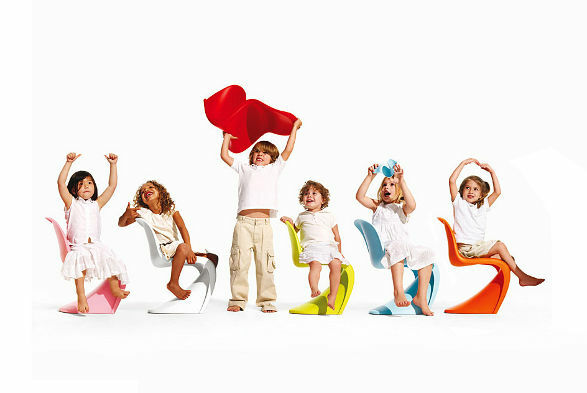 The first chair gave the beginning of the Panton Chair Series, which includes the Panton Chair, Panton Classic, and Panton Junior. Panton Classic is an upgraded version of the Panton Chair, available now in more sophisticated lacquered plastic. It comes in 3 simple colors, white, black, and red. 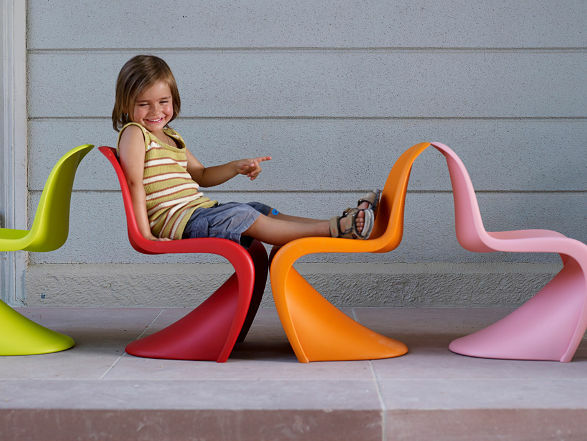 The last of the series (which came in 2006) is the Panton Junior, about 25% smaller from the original, designed to seat little children. 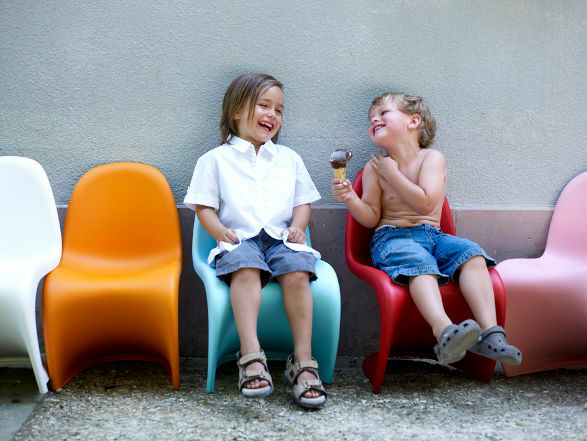 The Panton Junior Chair is very light and easy to move and it comes in more colors, including white, light pink, classic red, dark lime, light blue, and tangerine. 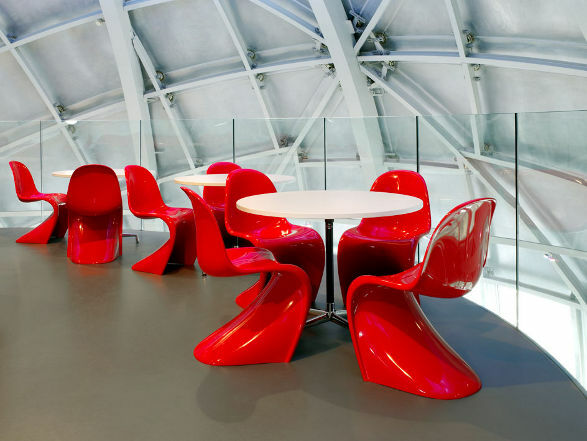 The Panton Chair was regarded as a sensation and received numerous awards. It is recognised as a classic of modern furniture design and one of the first models belongs to the Museum of Modern Art in New York. 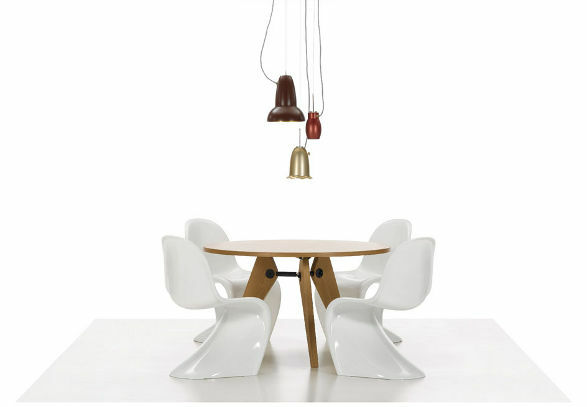 Although Panton Chair is over 50 years old, it didn' t get any older because it is absolutely universal. It fits perfectly to the private spaces, like kitchen, living room or even bathroom and to the public spaces as well (kindergartens!). And for all this time it keeps on inspiring other designers. Next time I'll provide you some of my favourite examples. The finest wall decorations for kid's room. Wallpapers for boys and girls.